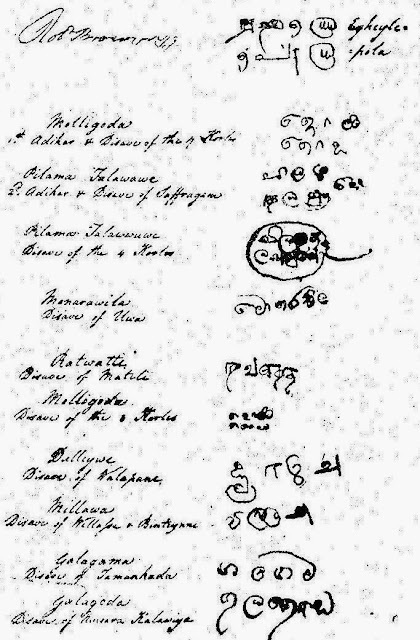 Ruwan, some of the well known Sinhala Nilame s have signed in Tamil. Were they using Tamil as their language? This is a good topic to discuss. හේතුව ඉතා සරලයි. ඒ කාලේ දෙමළ භාෂාව තමයි රජුගේ (Sri Wickrama Rajasinghe) බස. අද භාෂාවෙන් කියනවා නම් Queens Language. Both my father and mother and many elderly relatives, born before 1948, sign in Kings Language of the day, English.